(Reuters) - An Alabama man convicted of killing a minister and wounding his wife with a sword and dagger while robbing their home three days before Christmas in 1991 faces execution on Thursday. 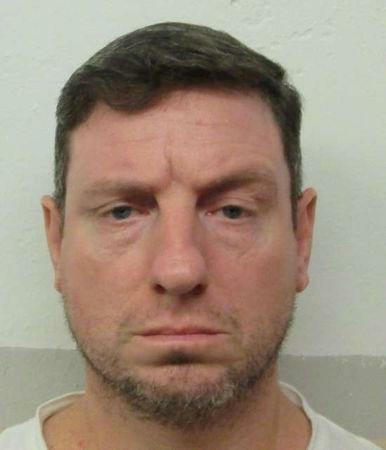 Christopher Price, 46, is scheduled to die by lethal injection at 6 p.m. EDT at the William C. Holman Correctional Facility in Atmore, Alabama. If Price is put to death, he would be the second person to be executed in the state and the fourth in the United States this year, according to the private Death Penalty Information Center. Price was convicted and sentenced to death in 1993 in the killing of William Lynn, a minister, in his home in Bazemore, Alabama on Dec. 22, 1991. Lynn was assembling Christmas presents for his grandchildren after he and his wife, Bessie, returned home from church when two men shut off electricity in the home and attacked the couple with a sword and dagger, according to court documents. Lynn died of his injuries while his wife survived wounds to her head, hands and chest. Price was captured seven days later and admitted that he took part in the robbery but said he did not hurt the couple, according to court documents. Kelvin Coleman, who was accused of being Price's accomplice, pleaded guilty to murder and robbery and is serving a life sentence without parole, authorities said. Since his death sentence, his attorneys have filed and lost appeals on several grounds in state court. In March, the Alabama Supreme Court set an execution date for Price. His attorneys earlier this week asked a federal appeals court to halt his execution. They argued that the three-drug cocktail to be used in the execution is inhumane and that he should be executed by nitrogen hypoxia, a "virtually painless" method, a court brief showed. The state argued Price was informed that he could have chosen to be executed by nitrogen hypoxia, but failed to do so before the deadline in June 2018. Earlier this month, the U.S. Supreme Court ruled 5-4 that the Constitution does not guarantee a prisoner sentenced to capital punishment "a painless death." Six executions in the United States scheduled during the first three months of 2019 have been stayed or rescheduled. The Texas execution of Mark Robertson, who was convicted of killing his friend and his friend's grandmother in 1989, was stayed on Monday.